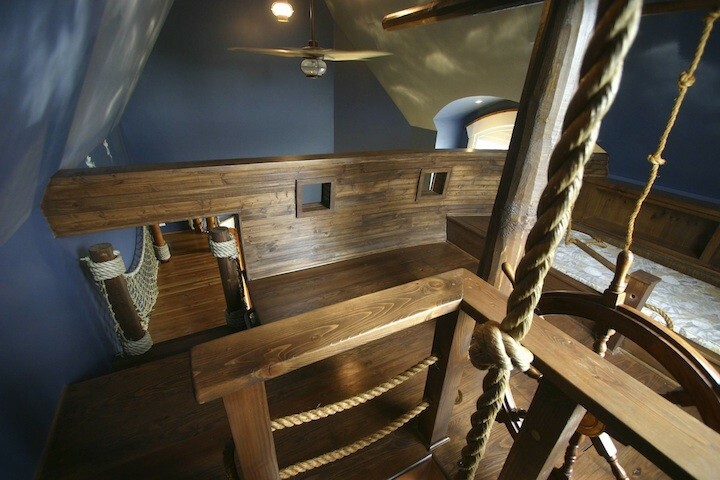 Yo ho holy crap, get a load of this "ultimate pirate ship bedroom" that comes complete with jail cell, hidden spiral slide and a rope bridge connecting to an actual freakin' pirate ship hung from the ceiling. 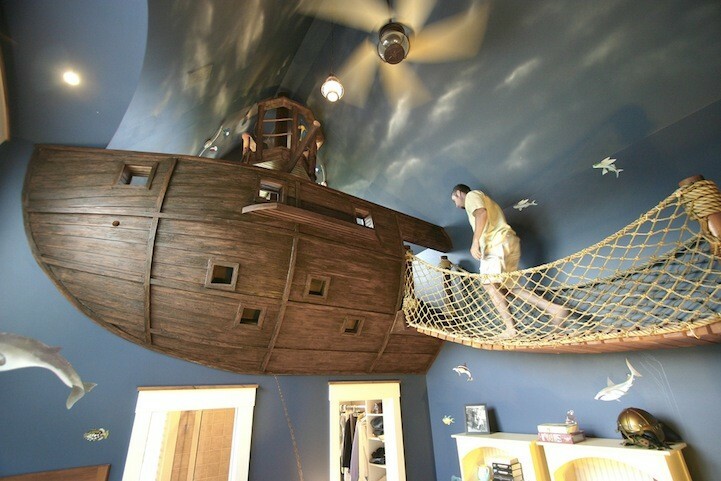 Truth be told, I was never a big fan of pirates when I was a kid and even now I'm more of a ninja man, but when I saw the photos of this "ultimate pirate ship bedroom" I thought, wow. I mean, wow. 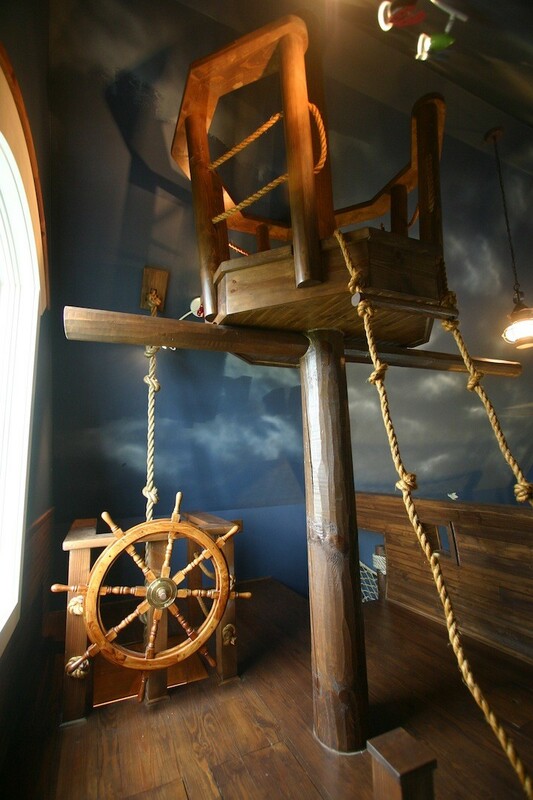 The room was created by designer Steve Kuhl, who gave an incredibly lucky six-year-old from Minnesota the choice of a spaceship, race car, castle or pirate ship. 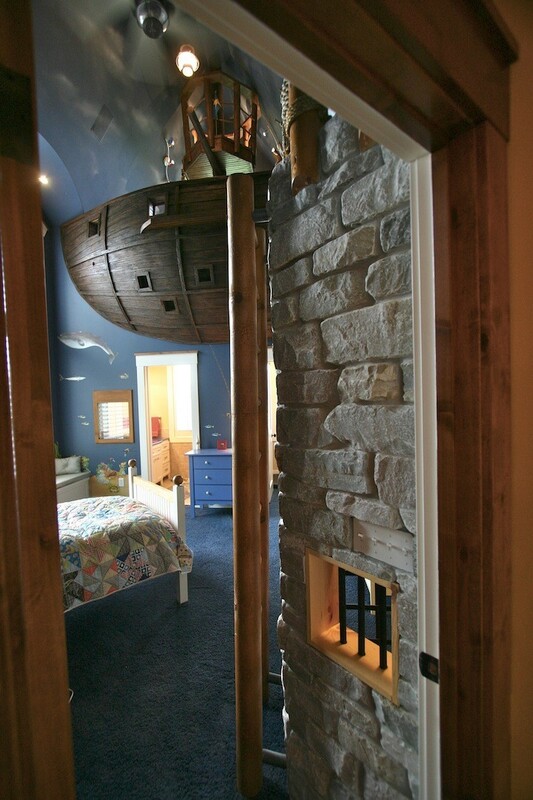 While I personally would have opted for the castle, or maybe the spaceship, it's hard to argue that the kid made the wrong choice. 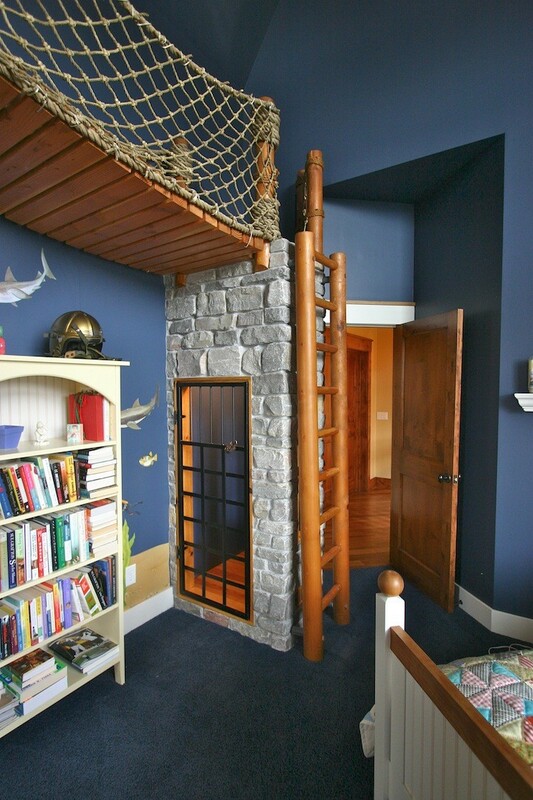 This room is awesome. 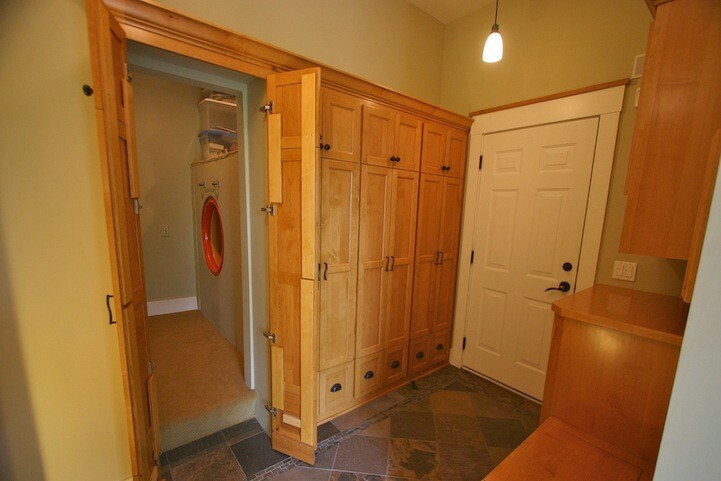 "Our client grew up as a repressed type-A child and never really lived the childhood he dreamed of. He had to help support the family from a young age," Kuhl explained. "When he became a father one of his goals was to give his son, Zach, a childhood full of play and adventure." 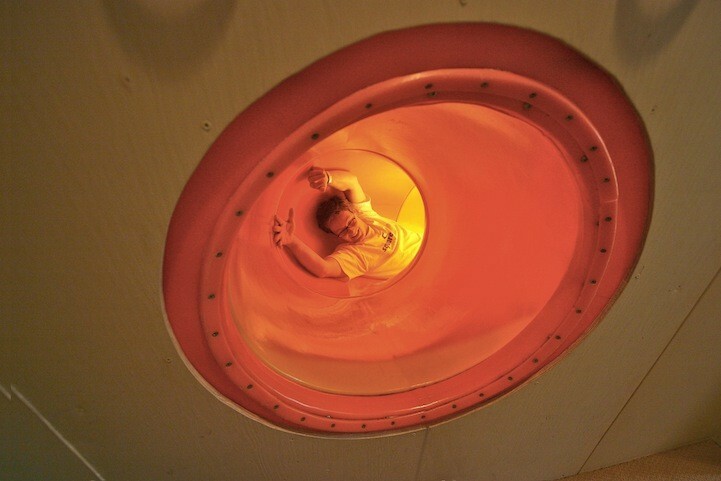 It will probably come as no surprise that the kids aren't the only ones who get to play. "The response from the six year old was predictably awesome and sincere," Kuhl said. 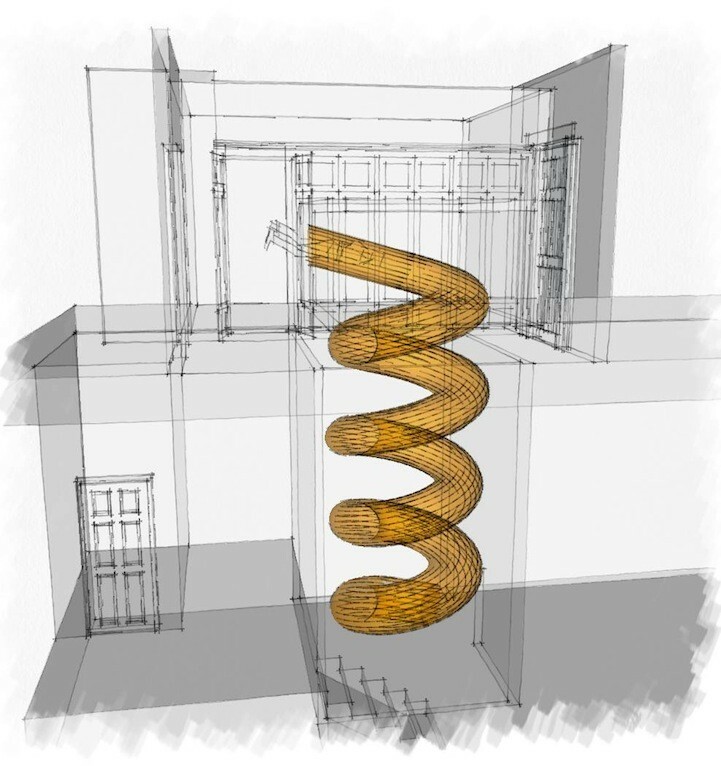 "Less predictable was the response of the parents, the parents' friends and neighbors [adults]. When they entertain the adults invariably end up locking someone in the jail cell or climbing around the ship like a little kid. To me that is fantastic. Architecture should inspire joy in all forms. It's easy to forget how much our built environments affect us. 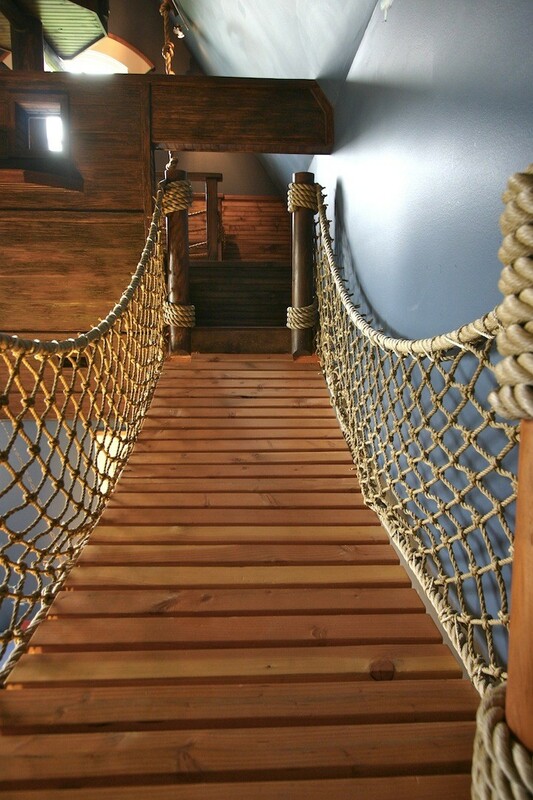 The pirate ship helps people remember." To which I say, damn right. 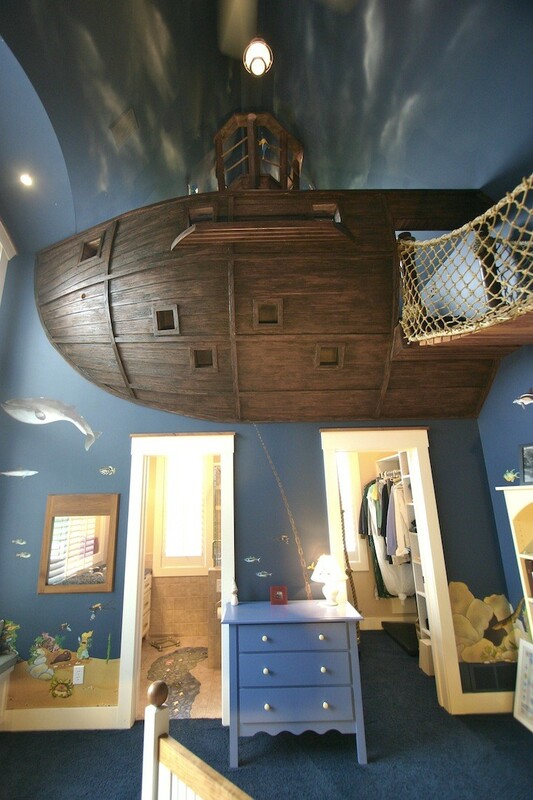 I'm an adult and I'd have a blast with this room. 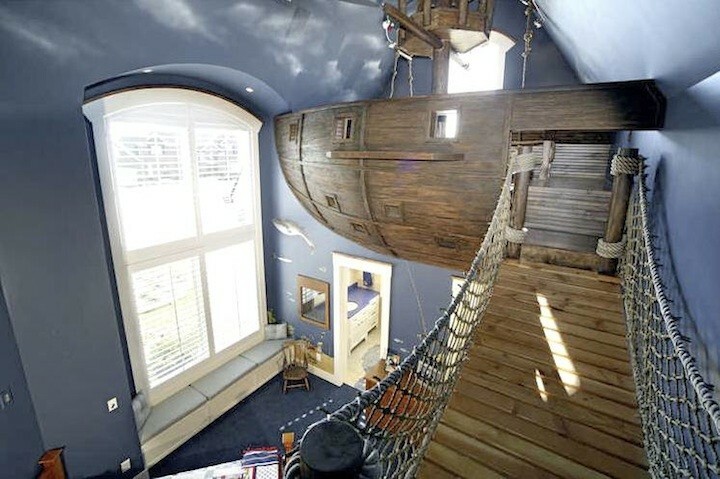 Who wouldn't want to sleep in a pirate ship in the sky? You're never too old for that.